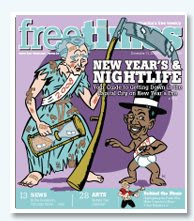 Here's a new illustration I did this week for the New Year's issue of the Free Times in Columbia, South Carolina. 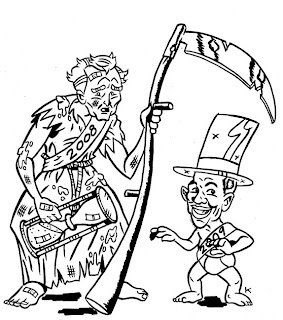 That's, of course, Bush as Father Time and Obama as the Baby New Year. 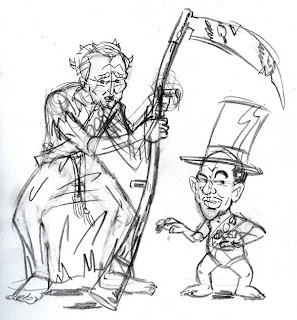 Hopefully, I'll soon get a bigger image of the actual cover and post it here when I do.